Autologous hematopoietic stem cell transplantation (AHSCT) has been established as an important therapeutic approach for patients with autoimmune diseases (AD) refractory to conventional treatment. This therapy is able to promote long-term remission in most patients without further use of immunosuppressive medication. High dose immunosuppression depletes autoreactive T and B cells and a new immune system re-emerges from the infused hematopoietic stem cells, a mechanism so-called “immune resetting”. 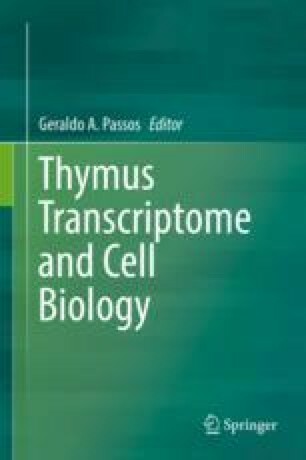 Thymic rejuvenation plays a crucial role in the immune reconstitution and restoration of self-tolerance in AD patients treated with AHSCT. Indeed, recent thymic emigrants promote reestablishment of TCR diversity that is associated with favorable clinical outcomes. However, generally one third of the patients undergo disease reactivation after AHSCT and the involved mechanisms are not yet fully understood. Therefore, additional investigations should be made to improve the knowledge about immune mechanisms involved in AHSCT for AD and to unravel biomarkers of post-transplantation outcomes. The authors thank Sandra Navarro Bresciani for the illustration and graphic design, Center for Cell-Based Therapy of Ribeirão Preto Medical School, Coordination for the Improvement of Higher Education Personnel (CAPES), and São Paulo Research Foundation (FAPESP) through grant No. 2016/24443-7 to João R. Lima-Júnior.